Mazuma Mobile - Being Responsible. 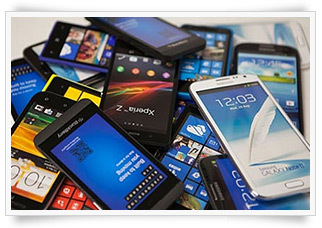 Sell, Trade in or Recycle your old, used mobile phone for cash. your bit for the planet. 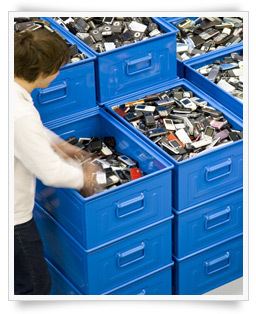 Mazuma Mobile is a pioneer in mobile phone recycling and reuse. Back in 2010 when we first started our service in Australia, we were the first to reveal the sorry plight of forgotten old phones lying around in homes across the country and offer a solution that pays customers to recycle them. Now, tens of thousands of Australian consumers like you know that a forgotten old phone is worth something - sometimes a lot! And you can have peace of mind knowing that by sending your phone in for reuse or recycling, it extends the life of a phone by giving it a new lease of life and a new home. For phones that aren't suitable for reuse, we ensure that sound sustainable practices are used to recycle them in a way that minimises any impact on the environment. Over 10 million handsets will be upgraded in Australia this year. The average Australian household is home to 4 or more unused mobile phones. That's over 30 million unused phones nationwide. Your mobile loses its value by approximately $8 per month. This means as a nation, we could be losing out on up to $2.5 billion per year by not doing anything with our old phones! What will happen to your phone? Once we receive your phone we'll test it and make payment on the very same day - we know our customers like being paid quickly! The phones we purchase then go through our Treatment Facility where they are screened and prepared for reuse. Depending on the make, model and condition of the phones, they will be distributed to one of our trusted reuse partners. The phones will then be given a fresh lease of life. For some that will mean nothing more than a good clean and polish and for others it may involve extensive repair. A large percentage will get fully re-conditioned and looking like new again. Each ready for a new home. Where will your phone go? Depends on demand really. We search globally for markets with the highest demand for a particular make and model. Selling to the right market means we can achieve the best price for your phone and in turn pay you the most for it. In fact, 90% of the phones we receive stay in the country as the demand for secondhand mobile phones continues to grow in Australia. Our Australian reuse partners include mobile phone retailers, repair centres and insurance companies to name a few. A number of our handsets are also reconditioned and redistributed in various overseas markets via our trusted network of reuse partners. 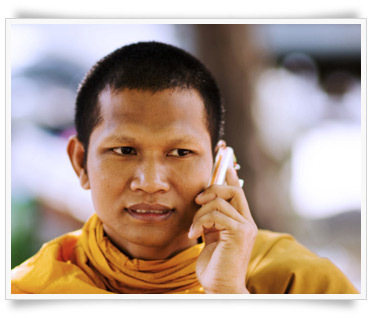 Mobile phones have become indispensable in helping to drive social change and economic growth in developing countries. We all do. You get your cash (quickly!). We get your phone. Someone else gets access to an affordable, working mobile phone here in Australia or in a developing country. And by following sustainable recycling practices and extending the life of a phone through reuse, the impact on planet earth is minimised. We have been recognised for our efforts in promoting mobile phone recycling and reuse. In 2013 we received the Sustainia 2013 award for TOP10 sustainable solutions in the world.